Home > What makes us different? In a world where everyone’s short on time, we take the opposite approach. We spend time getting to know you, so we can ensure that your trip is perfectly tailored to what YOU want it to be. Either over the phone, or in our Kiwi Lounge in Southwell, we’ll chat with you, answer all your questions and talk you through our recommendations, allowing your individual preferences and requirements to shape the outline and finer details of your holiday, there’s no ‘one size fits all’ approach here! Tailor-made doesn’t always have to mean expensive, in fact, because we offer such a broad range of accommodation and travel options, we’re able to arrange a holiday to suit most budgets and make sure that your experiences and adventures offer the very best in value for money. Because we offer both Independent travel and our unique Small Group Journeys, you have even more flexibility at your fingertips. We’re able to offer a combination of both types of travel for your holiday. If you wish to start your holiday off on a Small Group Journey to allow you to find your feet before picking up a car and exploring independently, that’s fine. Similarly if you choose to finish off your trip joining a tour so you can really relax for the last leg of your adventure, we can arrange that for you too. We also understand that lots of our travellers have friends or family in New Zealand who are looking forward to a visit, so just let us know and we’ll more than happily factor this into your itinerary. We have a team ‘on the ground’ in New Zealand, so whatever happens, whatever time of the day or night you need us, we’re here for you. We’ll ensure you have all the contact details you need to get in touch with our teams in both countries so should the need arise you know exactly where to go for help or advice. This service starts from the day you book your holiday with us, right until you’re safely back in the UK, giving you all the peace of mind you need to ensure you don’t have to worry about a thing while you’re away. We think we can call ourselves experts because we’ve not only visited New Zealand, but we’ve lived there, worked there and travelled the length and breadth of the country on more than one occasion too! We’ve tried out the activities we recommend, spent the night in our handpicked accommodations (and enjoyed the first class breakfasts they offer!) and travelled on the boats, buses and trains that we include in your itineraries, so you can be assured of honest, upfront advice from the word go. We firmly believe that this first-hand experience is what ensures you have an unforgettable holiday , from your very first contact with us, right through to your return onto home soil. 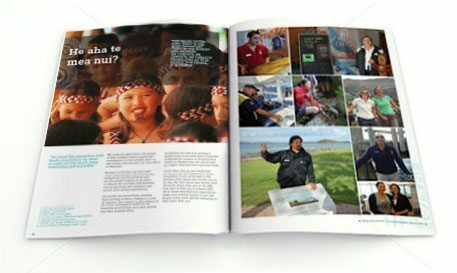 Because we know New Zealand so well, and because we’ve been working with the local guides and small businesses there for so many years, we’re able to offer in depth, ‘real’ New Zealand experiences that you simply won’t discover if you holiday with anyone else, and you certainly won’t find in a guide book! It’s true that New Zealand has become one the world’s top travel destinations, but there are still many wonderful hidden treasures and secrets it holds – you just have to know where to look to find them, and luckily, we do! We’ll happily share our secrets with you, just don’t tell too many other people! !